Cricket is not just a bat-and-ball game but over the years it has been used a political tool to strengthen relations between nations. Cricket as a sport has also sent out strong messages to the world on co-existence, peace and brotherhood. In the 1996 World Cup, when Australia and the West Indies refused to play matches in Sri Lanka citing security reasons, their friendly neighbours stood by them. 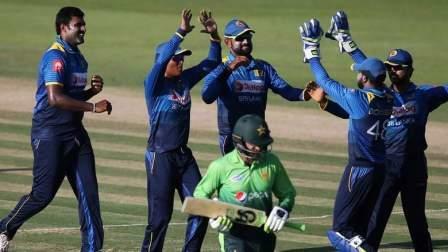 India and Pakistan fielded a combined XI in an exhibition match in Sri Lanka to show their support to the island nation. The magnanimous gesture didn't quite manage to change Australian or West Indians hearts but succeeded in bringing Zimbabwe and Kenya to play World Cup matches in Sri Lanka. On that day, the 22-yard pitch had stood tall against terrorism. And befittingly in the final of that World Cup, Arjuna Ranatunga's boys defeated Australia as the Gaddafi Stadium in Lahore celebrated the famous win. Fast forward 21 years to the present day, it is time for Sri Lanka to help Pakistan. Sri Lanka Cricket has decided to play the final T20 of the ongoing tour in Lahore. It will be Sri Lanka's first match on Pakistan soil following the 2009 attack on their team bus in Lahore. And two players who were part of the dream team in the 1996 World Cup - Asanka Gurusinha and Hashan Tillakaratne - gave thumbs up to the Lahore T20 match on October 29. Present batting coach Hashan Tillakaratne said: "Sri Lanka Cricket has already announced that the team is travelling to Pakistan. In 1996, Pakistan and India's combined side came to Sri Lanka and helped our game. So, it is our duty to go back and help them." Team manager Gurusinha echoed the sentiments and said it was a great gesture by India and Pakistan to play in Sri Lanka just two weeks after the Central Bank bombing that killed more than 90 people. "They came down - six Indian and six Pakistani cricketers. If they hadn't come, I don't know whether Kenya and Zimbabwe would have come down to play the World Cup matches." Gurusinha noted that since Sri Lanka Cricket has reviewed all security measures, the team will also look at it very seriously. This is one great step by Sri Lanka to express solidarity with Pakistan and will be a message for others to follow.